Koko Totems is a minimalistic totem mod. It is somewhat inspired by GotWood, but also includes a Stomp Alert module for totem deaths. Totem information is gathered as you play, which is primarily used for the Stomp Alert module. Alt friendly, will only load if you're a shaman. LDB launcher for the options. Dynamic storing of totem data allows for future compatibility for new or removed totems. ReloadUI/Enable/Disable friendly. Bars are loaded automatically. As always bug reports, comments and requests are welcome. Please keep in mind that most requests for this addon will be rejected, as it is intended to be minimalistic. 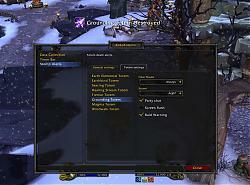 - Fix for sending death notification to instance chat. - Fix for blizzard using FileID instead of path name for graphics. *NOTE* This addon is still in english, but it should properly detect totems regardless of local. This includes the tick bar. - Alt friendly, only loads if you're a shaman. - Special tick bar to show tremor and cleansing totem ticks. - ReloadUI/enable/disable friendly, totems are checked so bars are accurate. - Bars can be scaled, re-sized and retuextured. Any chance you would put this addon on Curse as well? After a long hiatus, this has now been updated for Legion. Rather than update my stomp alert addon, I've instead opted to include a module for totem death announcements. It has most of the features from the previous addon. If you're after a much more robust totem stomp warning addon, you may wish to look at one of my other addons: Koko Stomp Alert. My totem timer addon is just that, timers. Future updates will include minor display editing (fonts), and possibly some layout styles. Apart from those future updates, this mod is feature complete. Last edited by kokomala : 12-01-10 at 03:02 AM. hey, first off i would like to say great addon i like what you've done with it. The main reason i use this addon if to see when my tremor totem is destroyed in arena and the party announce is also quite nice, my only problem is that i 'only' want to see tremor not all the other totems. Is there anywhere to edit the core file and remove the other totem from showing up, eg flametounge, mana spring etc? also a suggestion for your mod would be to allow an on screen announcement above the character in big letter as an easier way to see when tremors destroyed. Thanks for your help, but unfortunately thats not the solution. Even with all other AddOns diabled, the TickBars just wonÄt show up. Any ideas? One of these days I should probably add localization support. Change "Tremor Totem", "Cleansing Totem", "Magma Totem" to whatever the German equivalent is.